Situated adjacent to Halong Bay, Lan Ha Bay, a peaceful bay of the system of Cat Ba islands, is one of the most beautiful Halong Bay attractions. Having about 400 islands at different shapes and sizes, mysteriously covered with green vegetation and trees, Lan Ha Bay features a peaceful charm of all attractions in Halong Bay. Making up a huge part for the small islets in this bay is limestone. If you love marine sports, then Lan Ha Bay is your perfect choice. Here, the calm water makes it suitable for swimming and kayaking, especially around Money Islet, Sen Islet and Cu Islet. 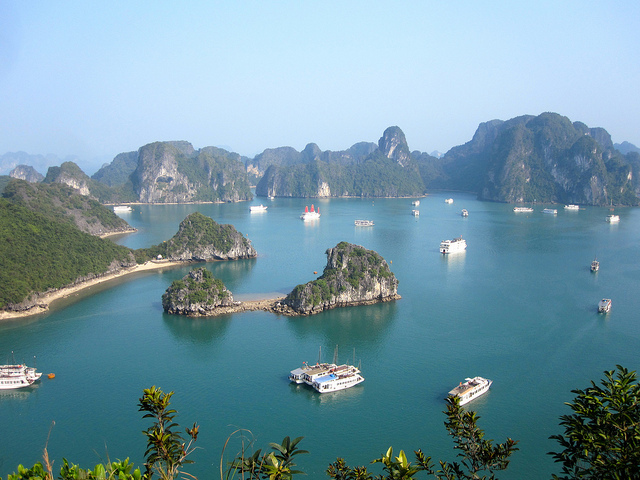 Some of the natural Lan Ha Bay attractions, in particular and Halong Bay attractions, in general are beaches at Cat Dua (Cát Dứa) beach, Tung Gau (Tùng Gấu) Cave or stalactite caves like Ham Rong (Hàm Rồng), Do Cung (Dõ Cùng). When it comes to religious Halong Bay attractions, you cannot skip Yen Tu Mountain, which is the highest peak in the north-eastern area of Vietnam. 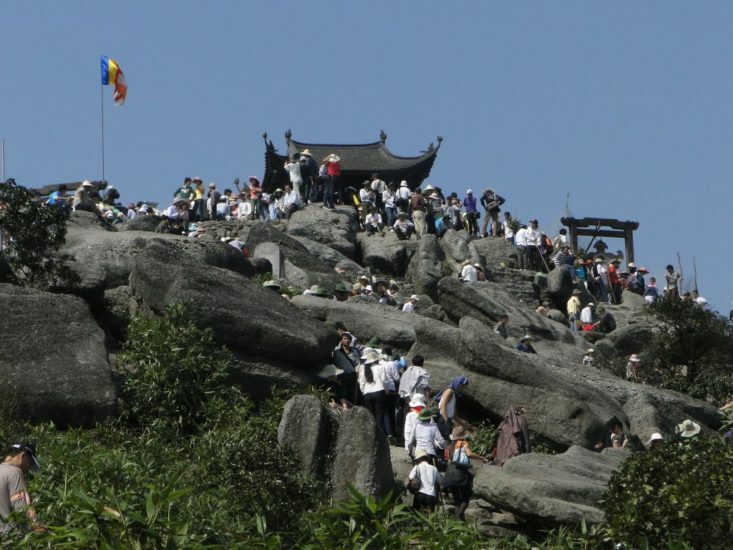 Yen Tu, called as “The Vietnam’s cradle of Buddhism”, which has famous natural landscape, preserves many historical relics. Located at an altitude of 1068 meters above the sea level, Yen Tu keeps its beauty in the majesty of its mountains mingling with the ancient and solemn quietness of its towers, pagodas and shrines. Yen Tu is busiest in springs, when a huge number of travelers, both domestic and foreign come here for sightseeing as well as pilgrimage. Yen Tu festival starts on the 10th day of the first lunar month, and ends on the end of the third lunar month. 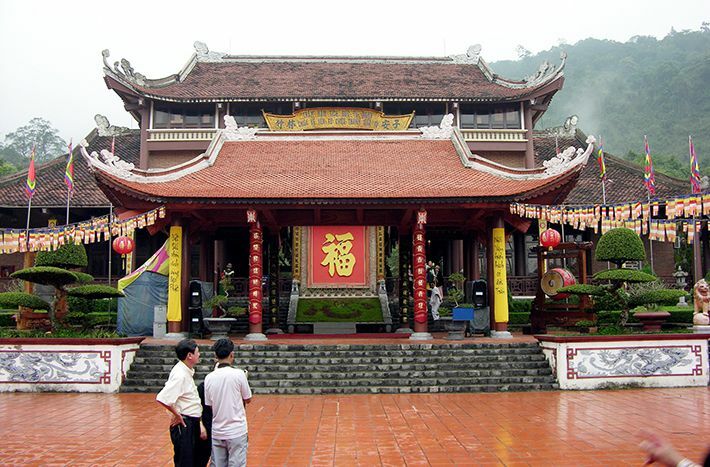 In regard to Quang Ninh province attractions, in general, and Halong Bay attractions, in particular, Yen Tu Mountain – the historical monument together with landscapes associated with the unique architecture of pagodas creating its historical and cultural values is what you should not miss. Travelers coming from all over Vietnam gather there to burn the incense and respectfully pray for all the best for the life of their family, relatives and friends. Nowadays, instead of climbing, you can use the modern cable car system to reach the peak of the mountain. However, if you still want to enjoy a stroll, and immerse in the fresh, airy atmosphere, experience interesting moments with your family and friends, let’s take a long walk (about 6 hours) through the paths in the green forests. 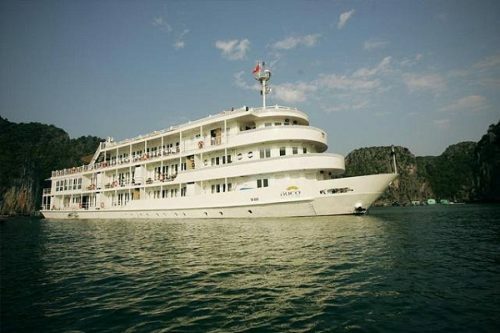 Ti Top (Ti Tốp) Island is the next one in this list of Halong bay cruise attractions. 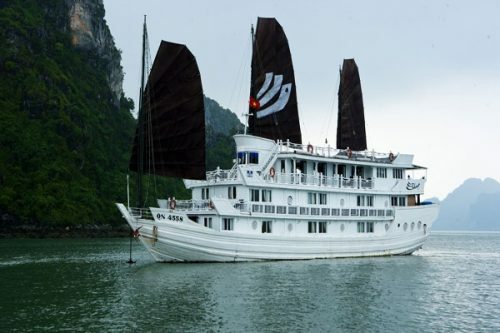 Located 14 km from Bai Chay to the East of Halong Bay, Ti Top Island is a relaxing heaven in Halong and a wonderful stop of cruising on Halong Bay. 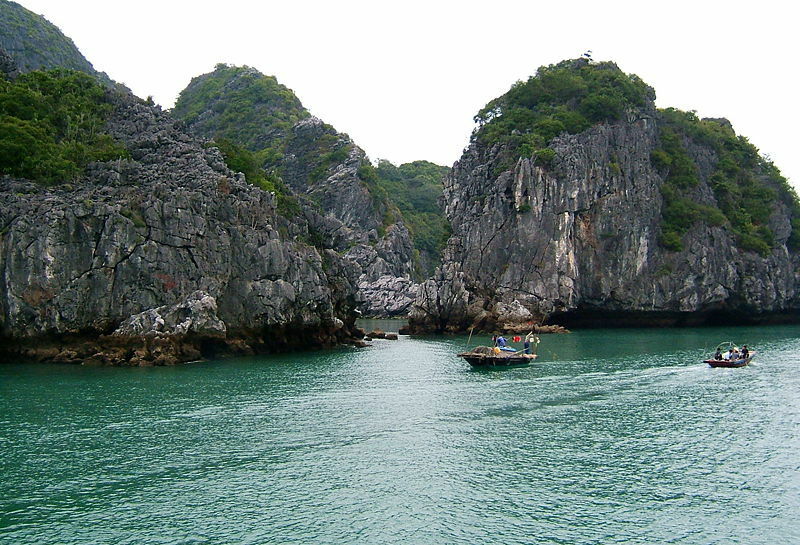 Ti Top Island is actually considered as one of the best spot for both Vietnamese and foreigners to Halong Bay. 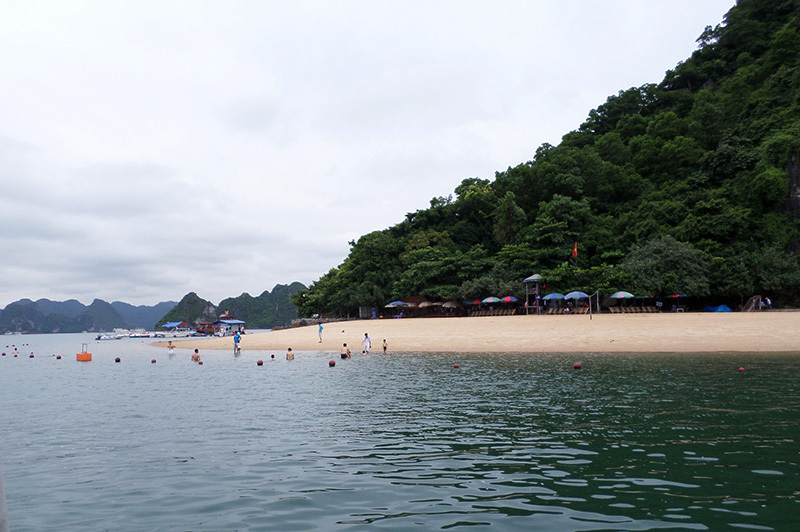 Unlike other popular Halong Bay attractions, Ti Top Island owns not only jaw-dropping romantic landscapes but also a splendid beach named Ti Top beach which is suitable for any beach activities. This peaceful beach is well-worth a visit all year around, particularly when the heat starts to hit. Even though the size of Ti Top Island is not as big as those of other beaches in Halong Bay, this island itself is still especially famous for the fresh atmosphere, clean water and smooth white sand creating a good balance for travelers to relax. Thanks to all of them, Ti Top Beach attracts so many travelers during summer and some special occasions. A lot of high-end resorts, hotels, restaurants, souvenir shops and life-buoy renting, skydiving, kayak facilities have recently been built to serve the developing number of tourists to Ti Top Island. 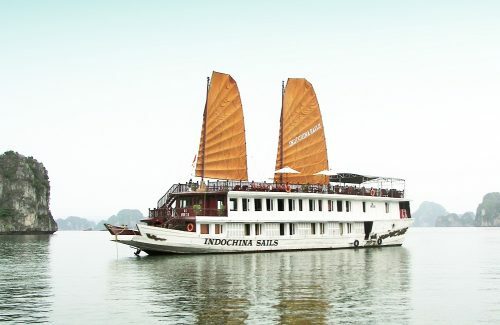 Ti Top Island is included in most tours in Halong Bay today, whether day tours or much longer durations tours and you can experience swimming and playing around the beach.